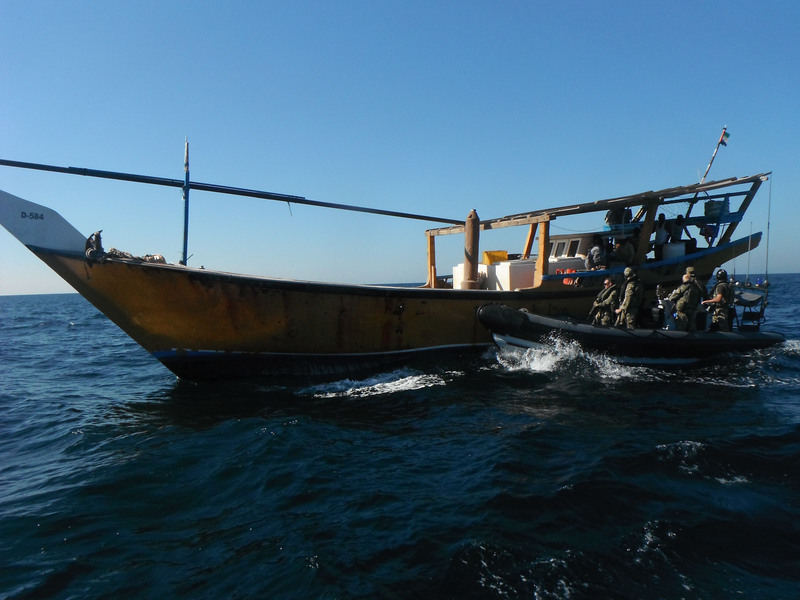 British warship HMS Montrose’s Royal Naval and Royal Marines Boarding Team (RNRMBT) has visited 36 fishing dhows in five days – a record since the team began boarding operations in the Gulf in August 2013. HMS Montrose was operating under Combined Task Force (CTF) 152, part of Bahrain based Combined Maritime Forces (CMF) during the visits. 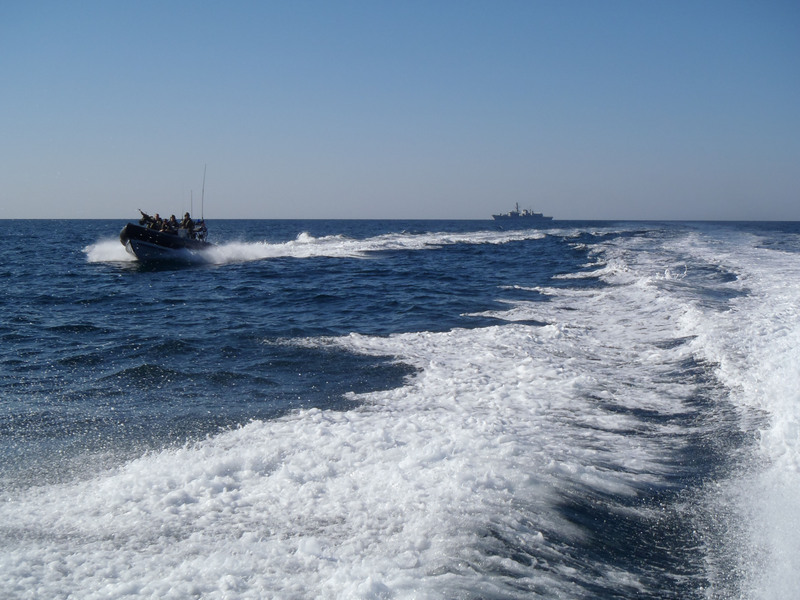 CMF is the 29 nation partnership that provides ships and aircraft across the Gulf, Indian Ocean and Horn of Africa in support of maritime security and regional capacity building activities. 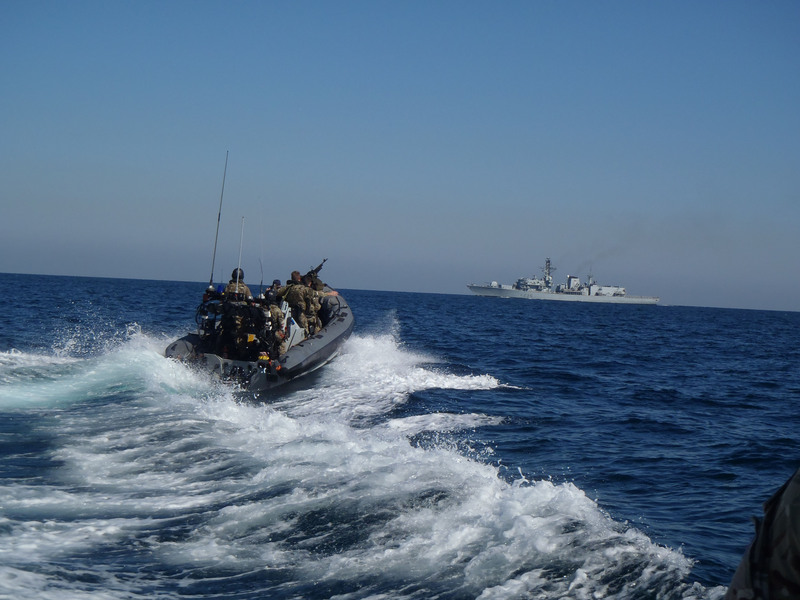 The Plymouth based Type 23 frigate’s RNRMBT used the visits to gather information and provide advice and assistance to local mariners. 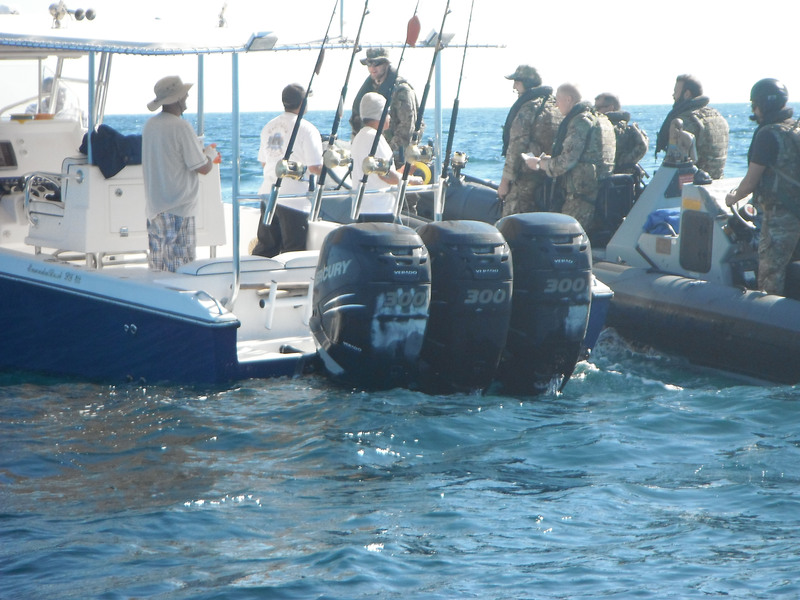 The team used two rigid hulled inflatable seaboats (RHIBs), each capable of reaching a top speed of 40 knots, to do the visits. Such visits are used to build a picture of ‘pattern of life’ in the area to better spot illegal activity, as well as to build good relations with and offer assistance where needed to local seafarers. 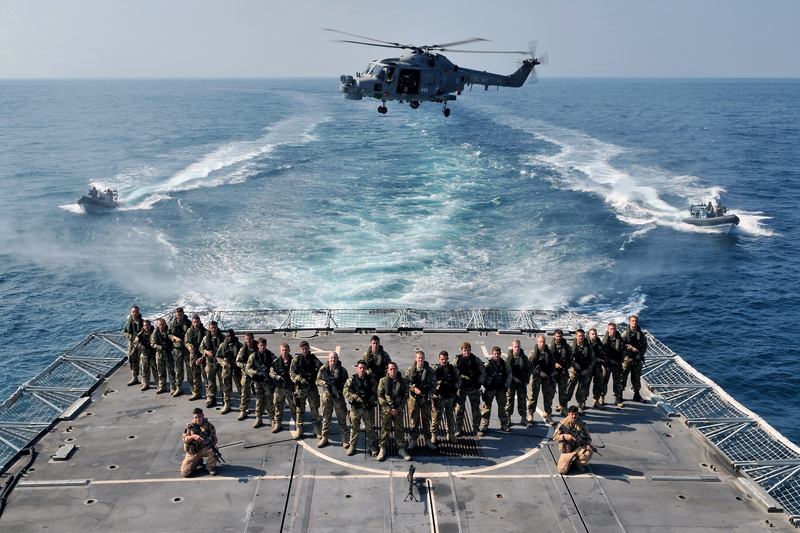 HMS Montrose’s RNRMBT contains nine Commandos from Faslane based S Squadron, 43 Commando Fleet Protection Group Royal Marines as well as 15 Royal Navy warfare specialists, engineering technicians and logisticians from Montrose’s ship’s company. Ordinarily the RN personnel man the upper deck weapons, maintain the engines and radars or cook the three meals eaten daily by the 200-strong crew on board Montrose. But when “hands to boarding stations” is ordered, they change from their blue uniforms into the camouflage fatigues of the boarding team.